AFC Bournemouth's loanees were in great form across the weekend as the end of the season edges closer. Goals were scored, awards were won and crucial points were gained across the domestic game and in France. 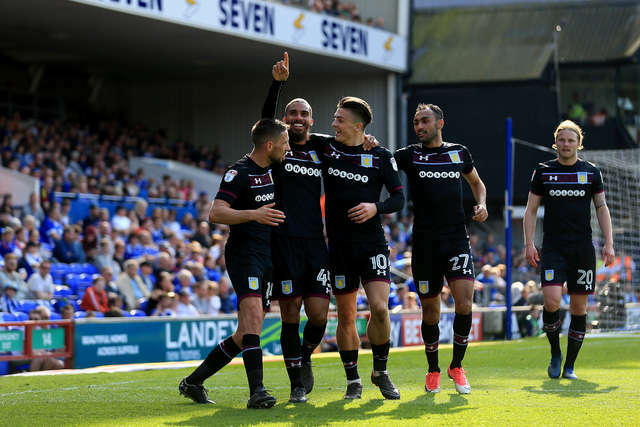 Grabban was in scintillating form for Aston Villa as ran riot against Ipswich Town at Portman Road. The Villans were 4-0 winners and Grabban had a hand in three of the four strikes. For the first goal, the striker found space and hit an effort which cannoned off the post, allowing Conor Hourihane to tap in. The second was Grabban's strike - which came from a brilliant turn by the striker to get in the area before slamming in from close range. Grabban's second goal came with a clinical finish in the box to make it three and all but seal a good win for the Midlands side. Wolves sealed the Championship title in style with a 4-0 win over Bolton at the weekend. 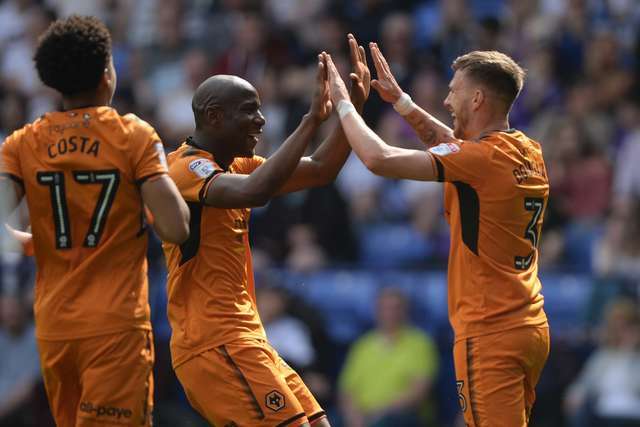 Afobe started for Wolves and scored in the emphatic victory at Macron Stadium - he played a huge hand in the first goal, forcing the 'keeper into a save which allowed Barry Douglas to tap in. But the striker had a goal of his own when Connor Coady chipped the ball down the line and he rounded the 'keeper to slot in. He also won a penalty late on being brought down by former Wolves man Karl Henry to allow Coady to score the fourth. Winger Gradel was in flying form for Toulouse as they were 2-0 winners over Angers in Ligue 1. The Ivorian put in a match-winning performance, scoring and assisting the only goals of the game. The first was a cross from the byline which gave former Arsenal striker Yaya Sanogo a tap in. His goal came in the second-half and was a cooly converted penalty. Matthews played 90 minutes for Eastleigh as the Spitfires were beaten 2-0 by Macclesfield Town. But on a more positive note, Matthews was recognised for his efforts for the club this season by winning the club's Player of the Season award. Port Vale secured League One safety thanks to a 1-1 draw with Mansfield Town at the weekend. Whitfield came on in the 44th minute at Field Mill to help the Valiants to an 89th minute equaliser - Tom Pope scoring - which ensured surivival for the Staffordshire side. Defender Cargill played 90 minutes for Partick Thistle as they were 2-1 winners over Hamilton Academical in the Scottish Premiership. Allsop played 90 minutes as Lincoln City gave their chances of a top-seven finish a boost by beating Colchester United 2-1 in the last minute. The 'keeper played the full 90 as Chesterfield were beaten 4-1 at Forest Green Rovers. Dennis played 90 minutes as Weymouth were 3-2 winners away at Kings Langley, which means they're still in the hunt for a home play-off tie in the Evo Stik Southern Premier League. Joe Quigley and Ollie Harfield were unused subs for Boreham Wood, while Mihai Dobre was also unused for Rochdale. Sam Surridge wasn't involved in the Yeovil Town squad.